At least I finished the Monkey socks for my niece. Modifications: I ended with a regular toe. And I made one and a half Bird of Paradise socks. This is the current Petals Collection offering. I’m using the pattern that came with the yarn, and it is striping perfectly. They’re a simple, happy knit. While I was knitting I still had that terrible cold. I missed two days of work and was minimally-functional for the other three, but I lived to tell the tale. I couldn’t have done it without the help of a wonderful friend. Rho answered my bleating call on Monday and made a trip to the store for me. She delivered enough soup and comfort food to get me over the worst of it, and she included a few sweet treats, too. Thank you, Hon! I’m still dragging a little, and I’ve been sleeping a lot, but I feel lots better. Thanks to all of you for the get-well wishes! I couldn’t resist casting on these pretty new socks. It’s Ann Budd’s Diagonal Rib pattern, which was an Interweave web offering in 2004. 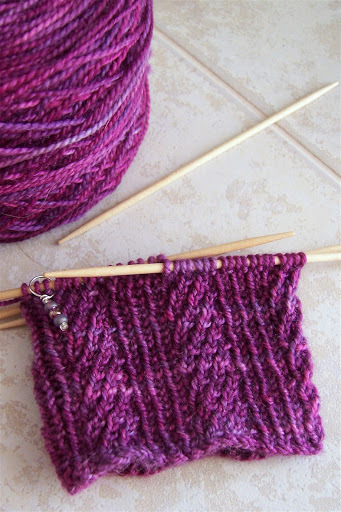 The yarn is from Sundara, “Magenta over Grey-Violet.” A little purple is a cheerful thing. I need some cheer now, because while I was so out of it my mom, who has already been in and out of the hospital a couple of times this year, was in again. She had one or several small strokes, which weren’t devastating (we’ve already been down that road) but require some rehab, so she’s back in a nursing home temporarily. After an anxious day of not knowing when she’d be moved, hearing no news, and being so far away, I was relieved to finally hear that she was okay. I started the socks to make the waiting bearable. I’m going to drive down and visit her this week, which is the only open window of opportunity at work. There are so many staff trips, appointments, store events, etc. going on that my next chance would be sometime in the middle of May. Footloose and fancy free, I’m not. I’ll take knitting, and my computer (I think I’ll show my mom some of the pictures I’ve been taking), and I’ll have a few nights in a hotel while spending the days visiting my little mother while she has physical and speech therapy. If you have any GoodThoughts hanging around, send them her way, would you? I’ve been worrying about you, what a week. Sorry to hear about your mom – hope all works out with your trip. It sounds like you’re trying to make it a good thing after all. Take care of yourself! The socks all look wonderful. I haven’t dug into the Bird of Paradise, will take your suggestion to save for Florida! I’ve had that Diagonal Rib on my short list for a while…just have to pick out the yarn. Your current projects are perfect! 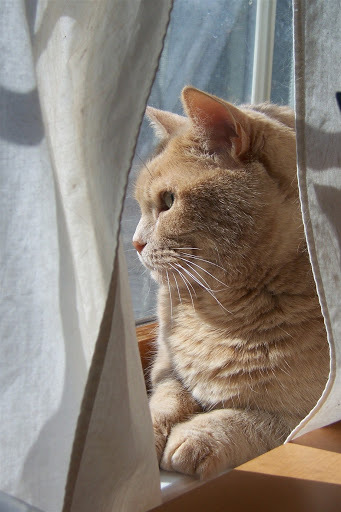 And I love cats in the window! Today we were taking some of our own! It’s wonderful to have friends like Rho when in a time of need. Glad you’re feeling better. I’ve got your mom in my thoughts and on my prayer list, where you always are too! Be safe on your trip. Love ya! Glad to hear you are feeling better but sorry to hear about your mom. I’ll be sure to keep her in my thoughts. That Sundara yarn is so beautiful. It must be a joy to work with. It’s good to see you are starting to feel better. I’m sorry about your mom, and hope you have a good visit with her. I’m glad you’re feeling better and that you had someone to keep you supplied with comfort food. The socks look great. I really like the Sundara socks. I might have to dig up that pattern. I’m sorry to hear about your mom. She’ll be in my thoughts. Sorry to hear about your mom. One thing, though: When I went to stay with my grandmother after her similar series of mini-strokes, I got a LOT of knitting done. (That me, always looking on the bright side. 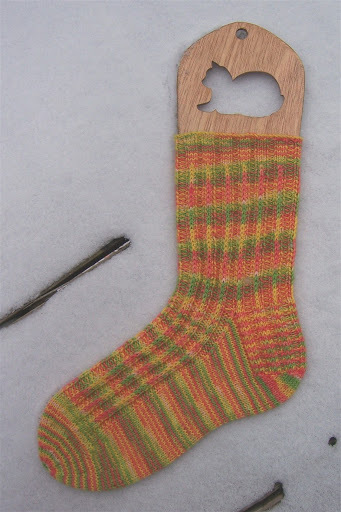 )The diagonal-rib sock is gorgeous.Take care; I’m thinking good thoughts for your mother. Sweet Jane,Am sending bushel baskets of good wishes to you & your Momma. I know how big your heart is & I know how you feel about her & her situation.Will keep you both in my tho’ts.And Rho, you are awesome. What would we do w/out such loving & supportive friends? !XOXO to you all. Jane-keeping you and your mother in good thoughts.love those diagonal rib socks!! I am such a sucker for purple! I’m glad you’re feeling better. I’ll be thinking about you and your mom. *hug*Gorgeous Monkeys! And I LOVE the magenta Sundaras you’re knitting – they’re amazing. Oh, your poor Mom. I hope she is fully out of the woods and can just stay well. And I’m glad your cold is gone. Scott has had one that is very hard to shake. Lovely socks! Glad you’re feeling better, Jane. I, too, got hit with a whammy bronchitis/sinusitis-thing this past week, so I know exactly how you feel. (I didn’t have a Rho to come bring me soup, though, lucky you!). I, too, am on the mend, and am grateful for that. All your socks-in-progress are beautiful. May you have a wonderful and uneventful trip to visit your mom, and may she come through rehab with flying colors. Take care! Sending good thoughts to you and your mom. Have a safe trip (you’d better protect that Sundara yarn or someone will steal it when your back is turned)! I always call it “stumbling forward.” I am not a fan of DST.The pics of Annabelle are BEAUTIFUL! Wow! !Hope you are feeling much better! so glad to hear that you are on the mend.Sorry to hear about your Mom – what a scarey time. May your trip to see her help to heal her heart. 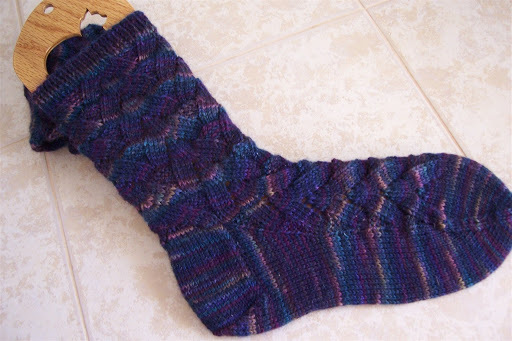 (my daughters always heal mine)the socks are fabulous – I am totally drooling over the Sundara yarn. woo-hoo. that is just dreamy.